A chaotic fish market is de rigueur for a film set in Kolkata. Te3n has an entire sequence that plays out in one. A weather-beaten septuagenarian ? John Biswas, a man nursing an inner scar and an ailing wife ? checks out a silvery hilsa and grumbles about its exorbitant price. The hawker blames it on the impending elections. Hilsa, he says, is being gifted by one of the political parties in the fray to its workers. ?Last week you said the price of prawns had shot up because of an earthquake in Japan,? John shoots back. ?I?ll eat fish after the elections,? he says as he walks away. With one shot, the Te3n screenwriters (Bijesh Jayarajan and Suresh Nair) encapsulate two of Kolkata?s pet obsessions ? fish and politics ? but they do not dwell unduly long upon them. Similarly, images of the city?s most identifiable sights ? the Howrah cantilever, the second Hooghly Bridge, St. Paul?s Cathedral all lit up on Christmas night, Durga immersion processions, trams and river boat rides ? are strewn across this low-key but taut and gripping whodunit. But no landmark is allowed to get bigger than the film itself. 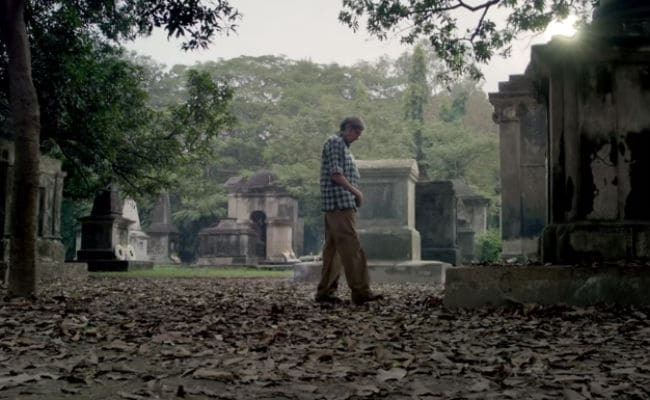 Te3n enhances its visual palette by adding to it the Hooghly Imambara, the site of a crucial turning point in the unravelling of the mystery behind the disappearance of a schoolgirl. The script harnesses a slew of props ? a rickety scooter that acts up every now and then, an old audiotape, a black van that spells danger, a cap-less pen that holds a secret, canvas duffle bags, army camouflage uniform and a hood under which the kidnapper hides ? to build up suspense. The setting as a whole and the dense atmospherics add a layer to this narrative about ageing, slipping up and seeking regeneration. The pockmarks of wear and tear are everywhere in Kolkata, but it is a creaking megacity that stays on its feet come what may. That reality of the macrocosmic physical space mirrors the personal story of John Biswas (Amitabh Bachchan), who has weathered many storms but soldiers on regardless. Te3n hinges on a missing schoolgirl and a distraught grandfather?s nearly decade-long fight for justice. An official but considerably tweaked remake of the 2013 Korean thriller Montage, the film opens eight years after the tragic incident. The grieving man?s obsession grows deeper each passing year. He visits the Lalbazar police station every day for news of the elusive breakthrough. At home, he listens to the recording of the ransom call over and over again on an overused video cassette player hoping to find a clue. His wheelchair-bound wife Nancy (Padmavati Rao) and the police officer working on the case, Sarita Sarkar (Vidya Balan), advise John to forget the past and move on. He cannot. In fact, he does not even try. 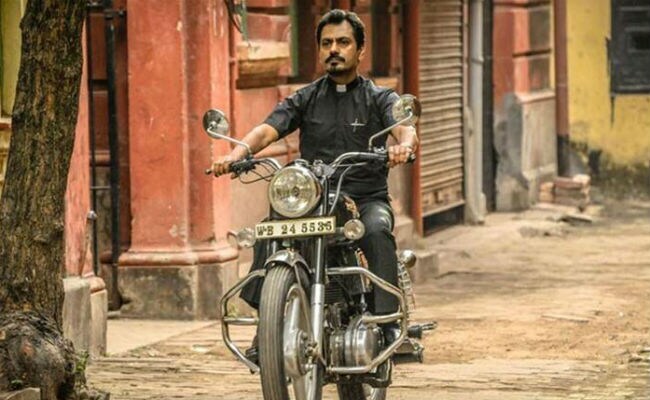 Another man on whom the past ways heavy is Father Martin (Nawazuddin Siddiqui), a former cop who has taken refuge in religion to live down a gnawing sense of guilt. It was under Martin?s watch that John?s granddaughter had gone missing. A second chance comes their way when the unidentified kidnapper strikes again in exactly the way he had done eight years ago. What?s more, he even picks a similar target: the grandson of a retiree (Sabyasachi Chakraborty) who has a daughter with a heart condition to take care of. 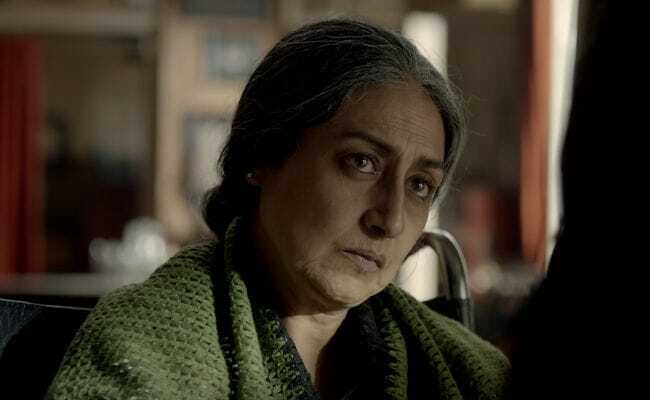 Director Ribhu Dasgupta, whose first film, the Anurag Kashyap-produced Michael (2011), remains unreleased despite premiering in the Toronto International Film Festival, also gets a shot at professional salvation with Te3n. He makes a fair fist of it. He comes out swinging and manages by and large to impart some heft to the narrative. Te3n is by no means a visceral thrill-a-minute crime drama, but its red herrings are sufficiently intriguing. They keep the viewer second-guessing its twists and turns. 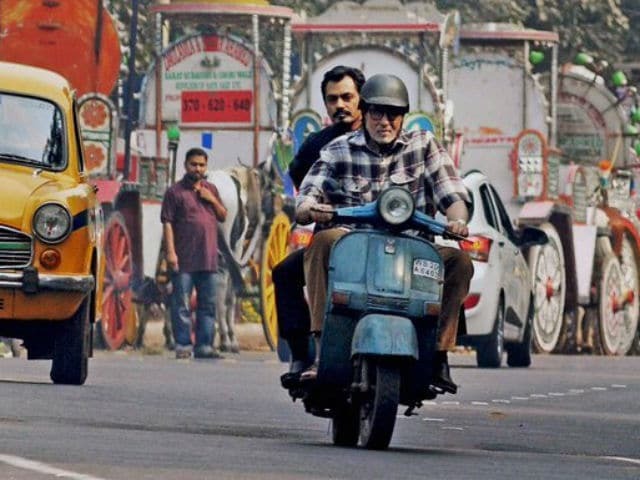 Te3n is studded with stellar performances. Amitabh Bachchan, who eschews much of his mannerisms, inhabits the character of the ageing man fighting against all odds to redeem himself ? in his own eyes. The thespian?s visage takes the form of a map of deep, tangible emotions. Each twitch on the face and every flash of befuddlement or realisation in the eye is an expression redolent with the ravages John has endured. Vidya Balan, whose presence in the cast is rather mystifyingly billed as a special appearance, has a full-fledged role. Of course, the film is none the worse for it. But one wishes the character of the no-nonsense woman in uniform was etched out with a little more clarity. In one crucial scene, it is implied that the newfangled priest might have had a soft corner for Sarita when the two were colleagues, but the story lets that suggestion lapse without any further elucidation. Nawazuddin Siddiqui, on his part, is called upon to flesh out two distinct personas. He does so with remarkably subtle variations in body language and dialogue delivery. Te3n also benefits from first-rate technical inputs. The stunningly effective combined work of cinematographer Tushar Kanti Ray, editor Gairik Sarkar, production designer Tanmay Chakraborty and sound designer Shajith Koyeri merits an unstinted shout out. Music director Clinton Cerejo rustles up a wonderful score to underscore the tension that Te3n amasses as it wends its way to its somewhat predictable climax. The songs, however, sound a little out of sync with the milieu. In spirit, they are tethered more to Bollywood?s Goa than to the authentic soundscapes of Kolkata. The sound designer makes amends by under-laying the drama with strains of a Tagore song, shrill speeches at election rallies and the relentless street-level cacophony that defines an Indian metropolis. Visually and aurally, Te3n is a consistently ?alive? film. It isn?t an edge-of-the-seat humdinger. The motivations of its key characters are at times rather fuzzy. 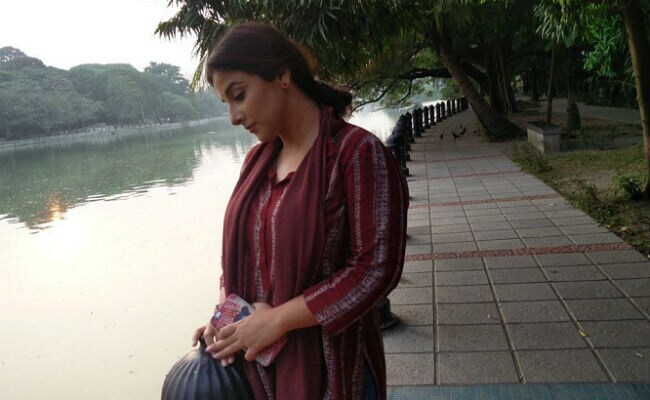 And it suffers from a pronounced Kahaani hangover (which is not surprising given that director Sujoy Ghosh is the producer). But Te3n is never less than eminently watchable. The slow-burning drama about crime, tragedy, guilt and retribution has the potential to repay the patience of those that don?t switch off their brains when watching a film.